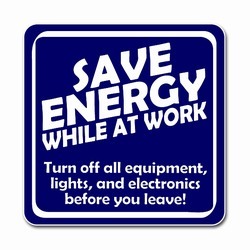 "Save Energy While You Work. Turn off all equipment, lights and electronics before you leave!" 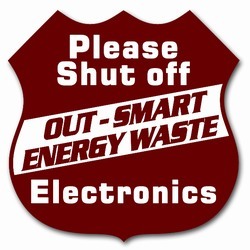 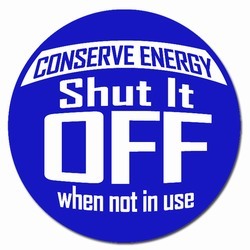 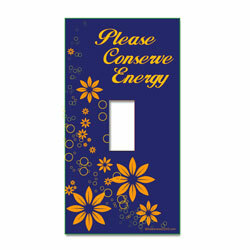 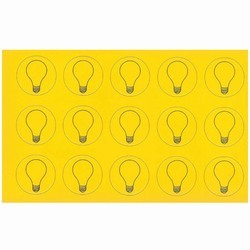 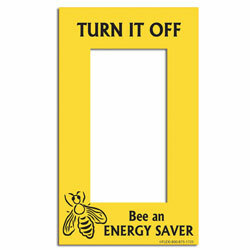 AI-edltsw203-02 - "Bee an Energy Saver" Energy Conservation Lightswitch Decal - 2 1/4" x 4 1/4"